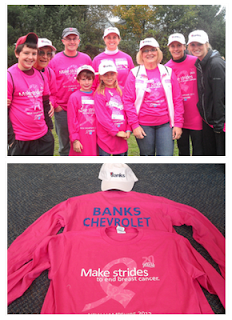 Banks Chevrolet-Cadillac-Buick-GMC made a commitment to help animals in need in New Hampshire. 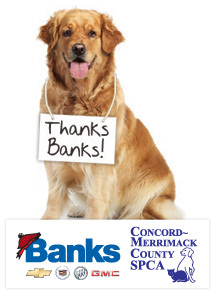 In the months of June, July, and August, Banks will be donating $100 for every new vehicle sold to the Concord-Merrimack County Society Prevention of Cruelty to Animals (SPCA). The donations will help the SPCA build their new facility on Silk Farm Road in Concord, New Hampshire. 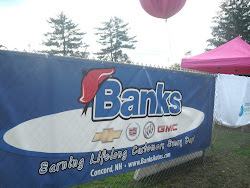 This year, Banks was a sponsor at the Dinner for Animals, an annual dinner the SPCA hosts to raise money for their organization. The dinner was a great success and raised a record breaking, $79,000 for animals in one night. "The SPCA is a wonderful organization that helps hundreds of animals in need," said Tracy Banks, Owner of Banks Chevrolet-Cadillac-Buick-GMC. "We want to extend our appreciation for what they do and help them build a new home for the animals in the region." Artist Rendering of the new SPCA facility. Tracey Banks and her team were honored to meet Dan Doherty on May 24th, the Manchester police officer who was shot five times in March. 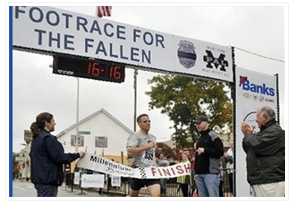 We wish him a speedy recovery and appreciate his outstanding bravery & dedication to the public safety of the citizens of New Hampshire. Tobey Manning of Banks Chevrolet-Cadillac-Buick-GMC has been awarded with the George Dykstra Outstanding Student Scholarship in automotive technology. 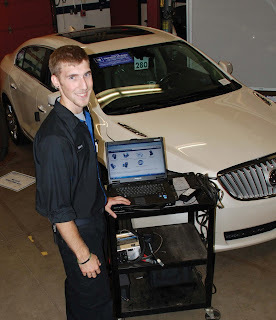 Tobey received this prestigious scholarship from New Hampshire Automotive Education Foundation (NHAEF). He was awarded scholarships by the New Hampshire Automobile Dealers Association (NHADA) and the New Hampshire Charitable Foundation's Medallion Fund as well. Manning, a veteran in the U.S Army and graduate of Pembroke Academy, was honored with this award for his proven academic performance and his dedication to advance his skills in the automotive technology fields. He plans on putting his earnings towards his Automotive Technology Program at Lake Regional Community College (LRCC), where he will graduate in 2013. Since last fall, Manning has also been studying in the General Motors Automotive Service Education program and working at Banks Chevrolet as a service technician to better his knowledge and hands-on experience. This particular NHAEF scholarship recognizes automotive instructor George Dykstra, who is the original coordinator for the General Motors Automotive Service Education Program (ASEP) at Lakes Region Community College, and currently serves on the NHAEF Board of Directors.